We all remember the infamous Camera+ fiasco. The popular photography app was updated with the ability to let users take pictures with the iPhone’s physical volume button, but Apple hadn’t approved that kind of hardware integration in the App Store at that time. Mimicking the iPhone’s virtual shutter button, Camera+ let users type a URL scheme into Mobile Safari that enabled the hidden feature. Apple didn’t like Camera+ after the hack was made available, and the app was promptly pulled from the App Store last year. After receiving Apple’s message loud and clear, Camera+ 2.0 was re-submitted to the App Store and made available with a host of new features. After the release of iOS 5 and the ability to natively take pictures with the iPhone’s volume button, Camera+ has re-added the feature to its app, too. In version 2.4, VolumeSnap is brought back to Camera+ in all of its glory. 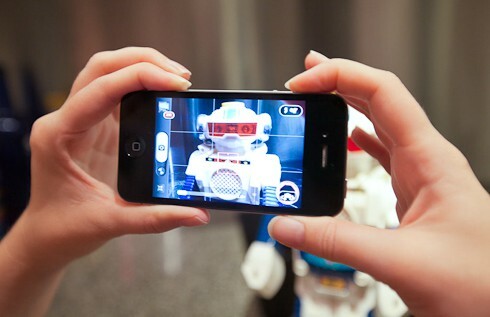 You can snap a picture with the iPhone’s volume button or use the regular shutter button in iOS 5. Camera+ is available for $0.99 in the App Store.